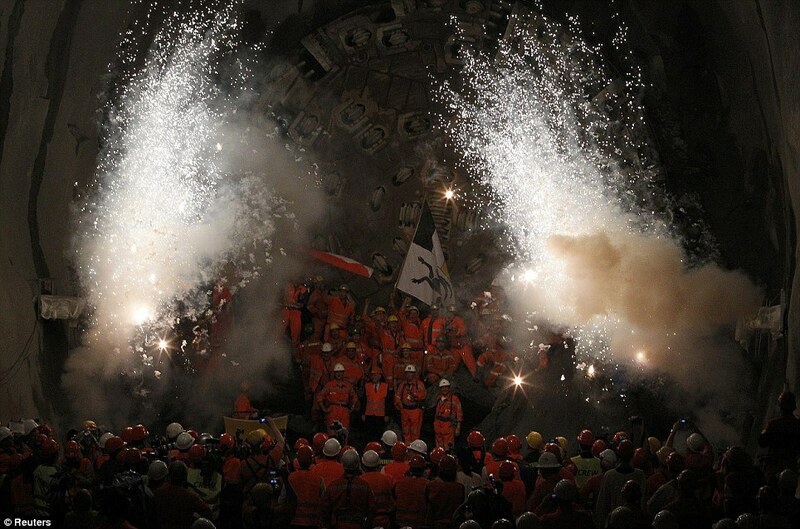 The drilling of the longest railway tunnel in the world has been completed, 14 years after it began. 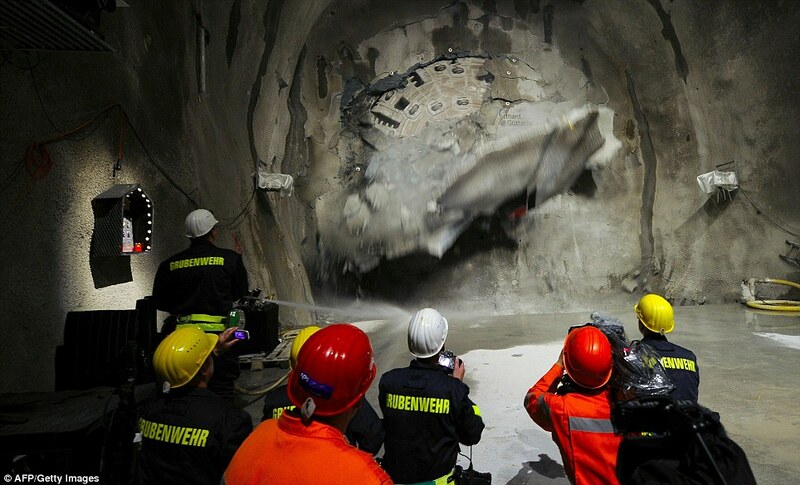 The last few yards of rock were removed earlier today, opening the 35.4-mile Gotthard Base link through the Swiss Alps which will allow trains to transport goods and passengers to and from Italy – and shave an hour off journey times. The £624m tunnel through the Gotthard massif, including the 8,200ft Piz Vatgira, is part of a larger project to remove heavy goods vehicles from roads in a bid to preserve Switzerland’s pristine Alpine landscape. Swiss voters, who are paying more than £800 each to fund the project, approved its construction in a series of referendums almost 20 years ago and will have to wait several more before it is ready for rail traffic. Conservationists say the money was worth spending even if after 23 years of construction it will only take one hour off the length of a journey. ‘The Swiss love their mountains,’ said Thomas Brolli, a campaigner with the group Alpen-Initiative. It claimed a surprise victory in 1994 with a referendum to limit the number of heavy goods trucks allowed to cross the Alps each year to 650,000 – halving the current load – within two years of the tunnel’s opening. ‘Every Swiss has a link to the Alps, whether they were born there or go there on holiday,’ said Brolli. Some 1.2 million trucks currently thunder through Switzerland’s mountainous countryside every year, harming rare plants and animals while adding to the erosion that is the Alps’ worst enemy. 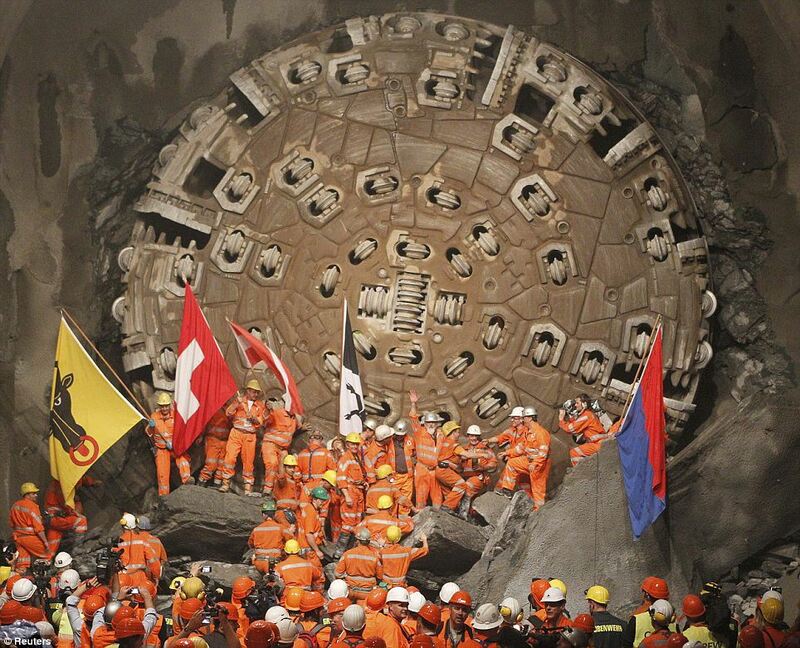 With their beloved mountains crumbling, the Swiss decided that instead of simply stopping foreign trucks from passing through the country they would put their tunnel-building expertise to good use by completing a plan first conceived more than 60 years ago. 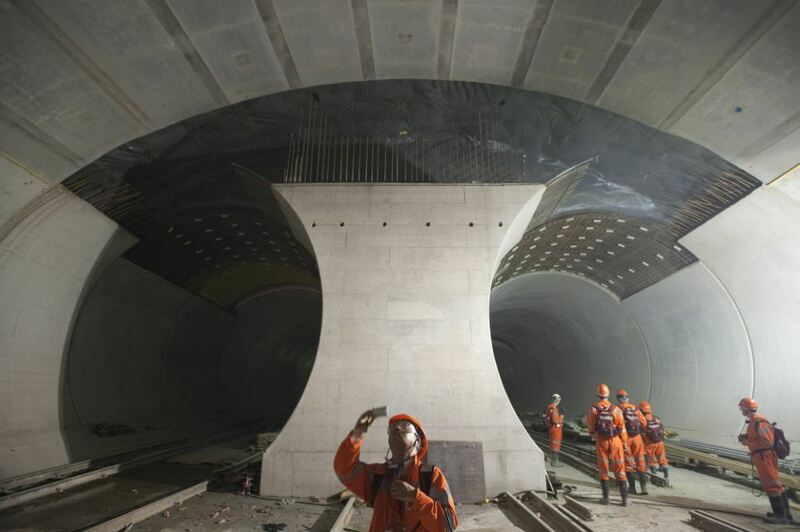 When it opens for traffic in 2017, the Gotthard Base Tunnel will supplant Japan’s 33.5-mile Seikan Tunnel as the world’s longest – excluding aqueducts – and allow millions more tons of goods to be transported quickly through the Alps by rail. A further £8.7bn is being spent on a series of shorter tunnels and high-speed rail links that will ultimately allow high-speed trains from Germany to continue on through to Italy at up to 155 miles an hour, making rail journeys increasingly economically competitive. 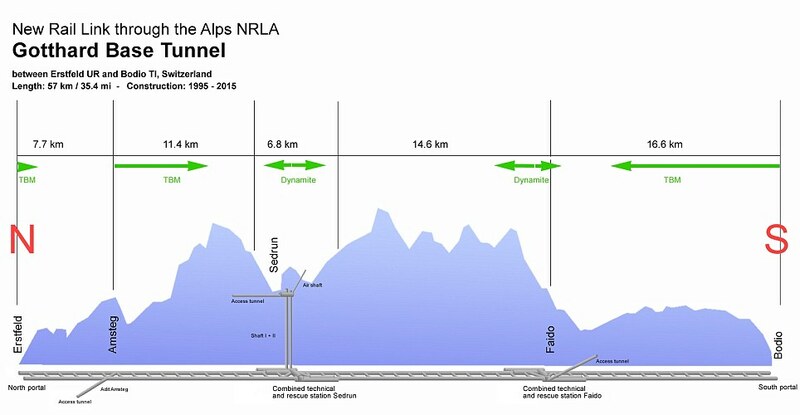 For European transport ministers the project represents the first of a series of major rail tunnels meant to take the strain off congested Alpine road links. 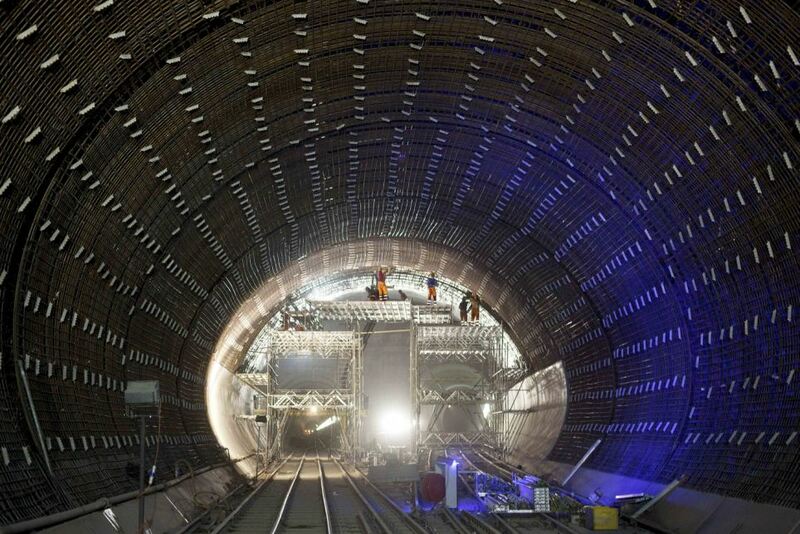 A second would connect Lyon, France, to Turin in Italy, while a third would largely replace the Brenner road tunnel between Austria and Italy – currently one of the main transport arteries through the Alps. Those projects are still a long way from completion and could yet be derailed by spending cuts as European governments scramble to fill holes in their budgets rather than drill new ones into the mountains. Although Switzerland has weathered the financial crisis better than most of its neighbours, cost considerations might have tipped the scales had there not been a strong concern for the future of the mountains. 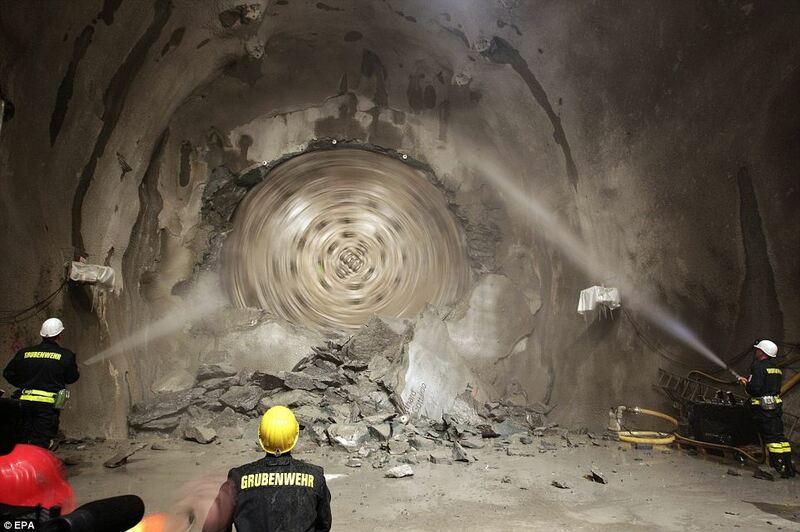 According to Brolli, the conservation campaigner, green ideas were inserted at every step of the tunneling process. Some of the 459 million cubic feet of rock hewn from the mountain – enough to fill 13 Empire State buildings – are being used to restore Alpine lakes that were dredged for gravel. And warm water, which flows deep under the mountains and can reach 50C, will be used to run fish farms, with one entrepreneur even hoping to provide Switzerland’s own source of sustainable caviar.